PMM reports on plans by a Midlands-based garage group to demonstrate the importance of replacing timing belts according to the manufacturer’s recommended intervals. 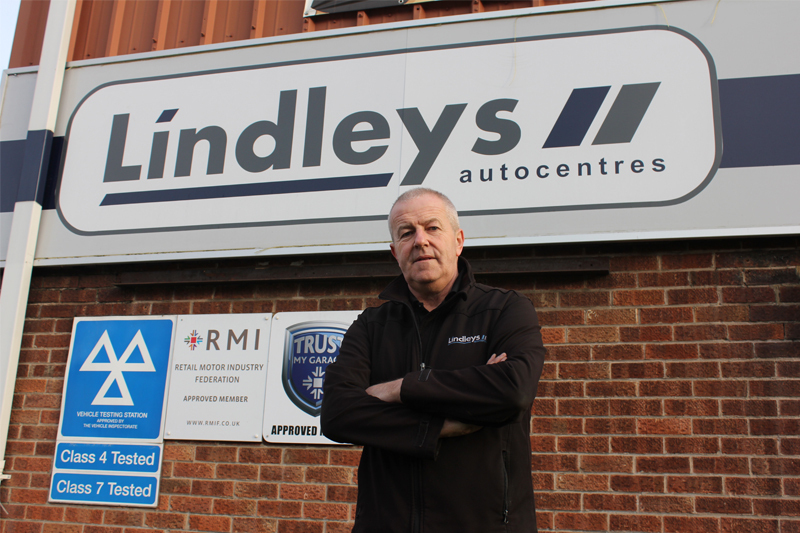 Due to an initiative by Lindleys Autocentres, garage customers in Nottingham are currently learning a lot about timing belts and belt kits. The company started to distribute leaflets about the subject over the counter and by email at the end of January. Within these information packages are five Q&As, which aim to help customers appreciate the potential consequences of timing belt failure. 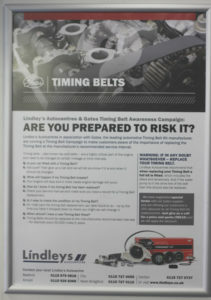 This is part of Lindleys’ campaign to raise customer awareness about the need for planned maintenance of the timing belt drive system. Lindleys has four other service and repair sites, in Arnold, Carlton, Nottingham city centre and West Bridgford. A sixth site will soon be open in Hucknall. By the end of the campaign, the message will have spread to between 35,000 and 40,000 customers on the group database. The hope is that the information will also find its way to friends and family. As one of the aftermarket’s most recognisable brands, and an established designer of drive belt systems for OE vehicle manufacturers, Gates was approached for support. The company responded swiftly, assisting with the design of signage, posters and leaflets for distribution. Each year, these informal technical sessions help around 1,500 drive systems specialists to improve their belt installation and diagnostic skills. As well as focusing on the benefits of installing timing belt kits and dealing with fitting issues on particular vehicles, it’s a programme that promotes good workshop practices. These include the need to flush cooling systems before installing water pumps, and the need to use the coolant to create ‘a dynamic seal’ at the point of installation. The programme also highlights the consequences of using inappropriate sealants and emphasises the importance of using the correct tools. Other key installation points covered in detail are belt tension setting, torque, and the need for access to accurate and up-to-date sources of vehicle data. Next : Poor Performance of the A/C System on Mazda MX-5?